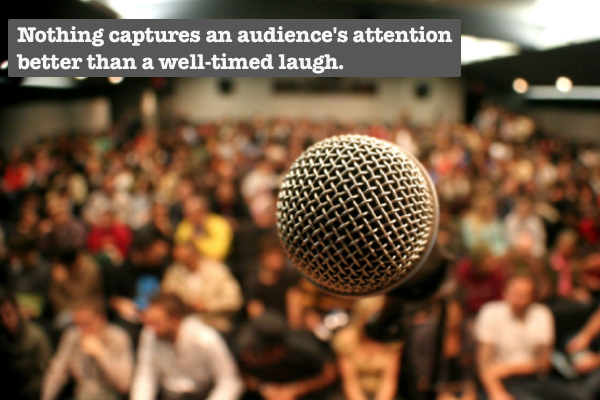 NOTHING CAPTURES AN AUDIENCE’S ATTENTION BETTER THAN A WELL-TIMED LAUGH. 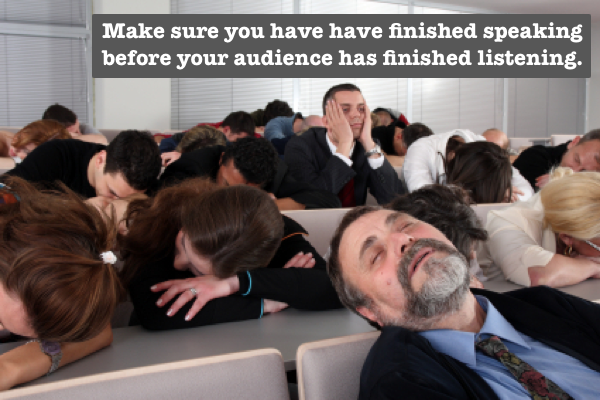 Maybe you have to speak at an event, be it an awards banquet, a keynote address, the company’s annual report, or a wedding toast – You know the material, but it’s flat. How do you fix that situation? You want it to go GREAT! 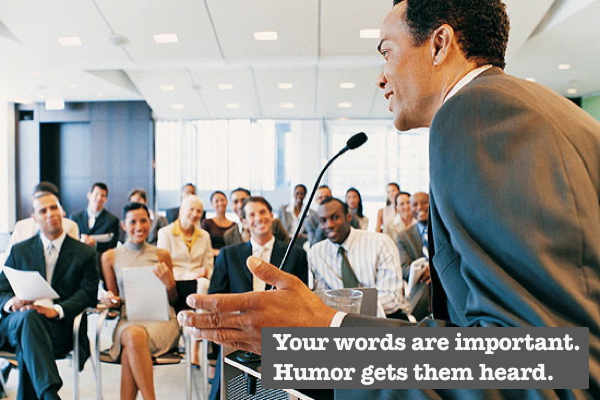 You want your words to be heard, and humor makes that happen. Laughter is the key to delivering a powerful message. That’s were we come in; we write the lines that everyone remembers. The Humor Writers is an awarding winning staff of comedy writers that produce effective laugh moments for your presentation, speech, video, roast or toast. We identify your needs and help you create entertaining and appropriate material for your audience. And if you are looking for just jokes, we can do that too. Call The Humor Writers team to start generating your speech ideas now.